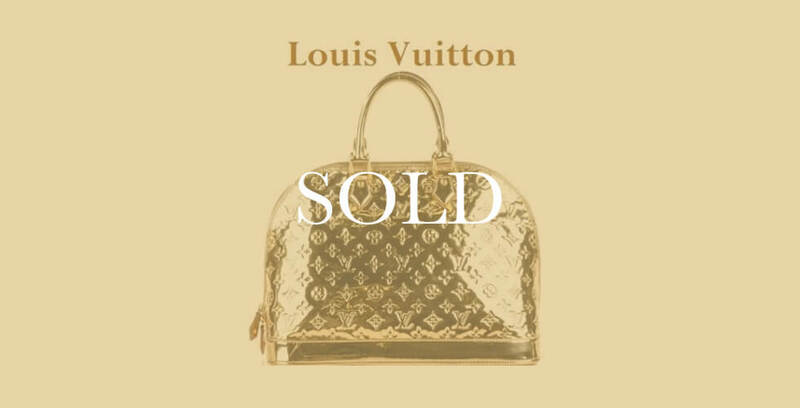 One of the most sold model of special edition bags of LV in the past, not available anymore, so this one of the last NEW one on the market. LOUIS VUITTON Miroir Mirror Alma MM Dore Gold. This stunning tote is crafted of shiny monogram embossed gold vinyl. The bag features rolled top handles, trim and a base of gold patent leather with gold hardware. The full wraparound zipper opens to a smoke colored fabric interior. This is a marvelous tote that is ideal for day or evening from Louis Vuitton! This Miroir is completely NEW and will be sold with dust bag and original Louis Vuitton box. Marken- und Firmennamen sind Eigentum der Hersteller/Markeninhaber und ihre Logos eingetragene Warenzeichen und dienen hier lediglich zur Veranschaulichung und Beschreibung. All trademarks and brand names mentioned in this publication are property of their respective owners.